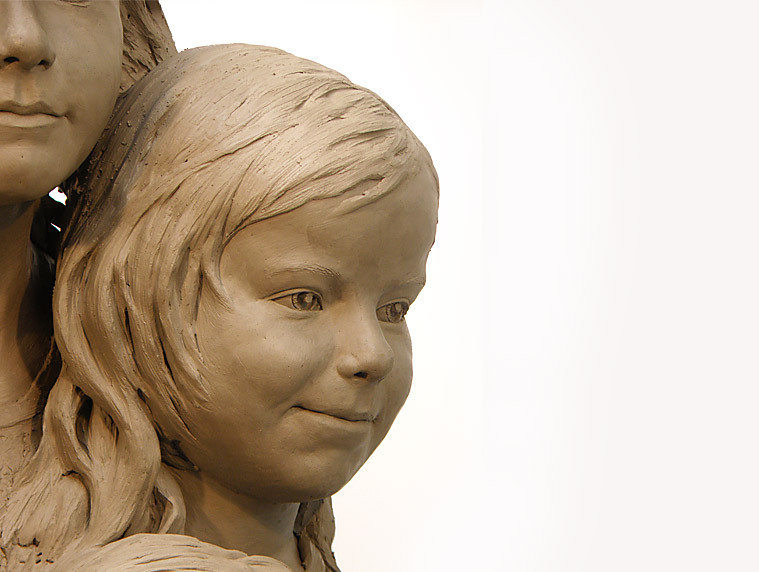 This portrait sculpture was commissioned as a surprise birthday present. 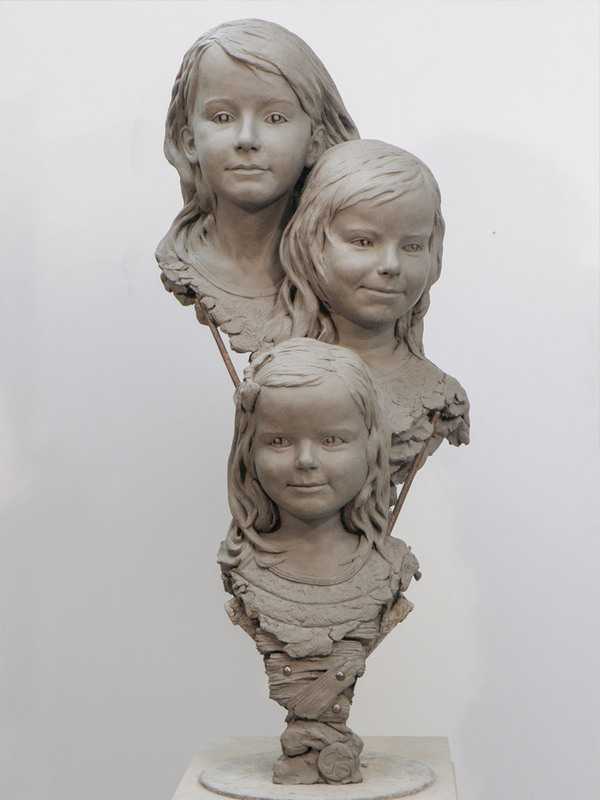 The unique and stunning composition depicts the three girls, all sisters aged 3-9 and is an unusual and exciting sculptural portrait. 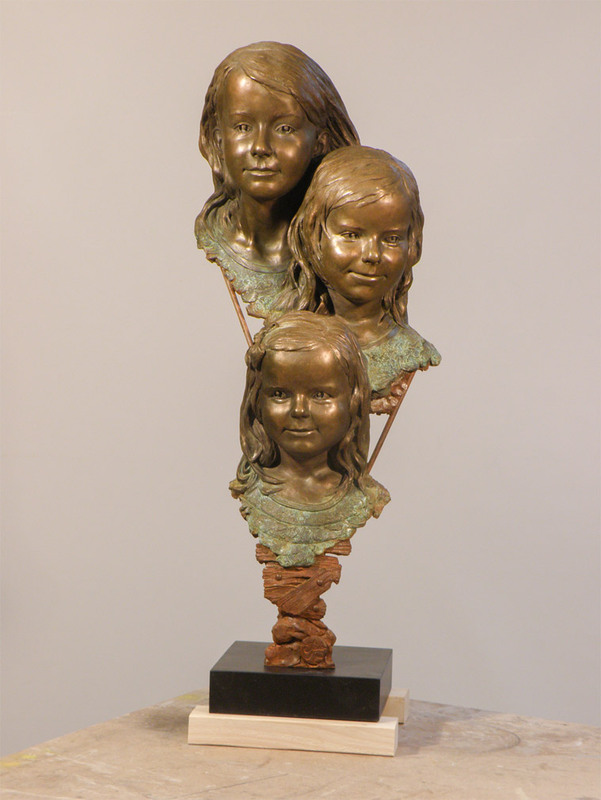 Andrew Sinclair decided on this design because his aim was to include all three girls in one sculpture and he felt that the tall elegant design creates a dynamic narrative between all three girls. This is a fine example of Andrew’s Contemporary Realist approach to sculpture.